Cut 40 plasma Torch parts,Cut 40 Plasma Consuambles,plasma Consuamables Cut40. Cut 40 Plasma Cutter basically used for Stainless steel plate cutting upto 5mm thickness. Our firm is a renowned name, which is engaged in offering an unparalleled range of Plasma Consumables Spares. These products offered by us are made utilizing premium grade raw material, which is sourced from dependable vendors of the market. 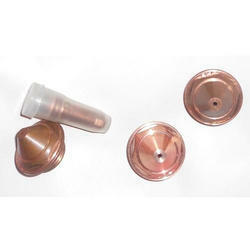 In addition to this, the plasma consumable spares is available in different customized specifications and forms in accordance with the diverse requirements of esteemed clients. We are a leading manufacturer and supplier firm of quality industrial plasma products such as these Plasma Consumable Nozzles. Customers can avail this range from us in surplus at the most comprehensive features. The quality of each of our product range has been checked over before the final dispatch to the customers. 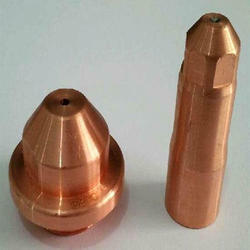 We have made use of high quality material in the making of these nozzles. 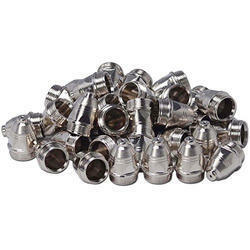 We are one of the leading manufacturers of this range of best quality Kjellberg Consumables Parts that can be availed from us in the most comprehensive and competitive prices. These parts have been made from the best quality material and can be availed from us at the most comprehensive price range. 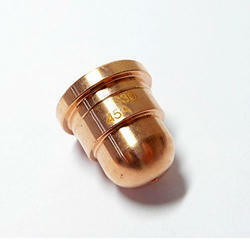 We have adhered to complete industrial standards while manufacturing this range. We as per the expertise of our experts have made sure that all our products are of best quality therefore, the offered range of Cebora Plasma Consumables. 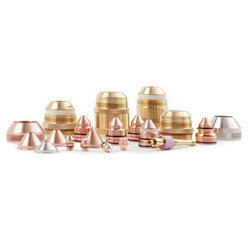 The offered range has a sleek and narrow shape and has been molded out of the best quality copper grades. We have manufactured these as per the strict standards. 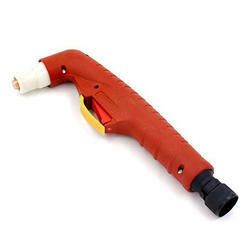 We are leading distributor and wholesaler of Ajan Plasma Torch Parts. Looking for Plasma Consumables cut40,cut60 ?